An event honoring our veterans begins at 10am tomorrow at Plaza de Cesar Chavez. 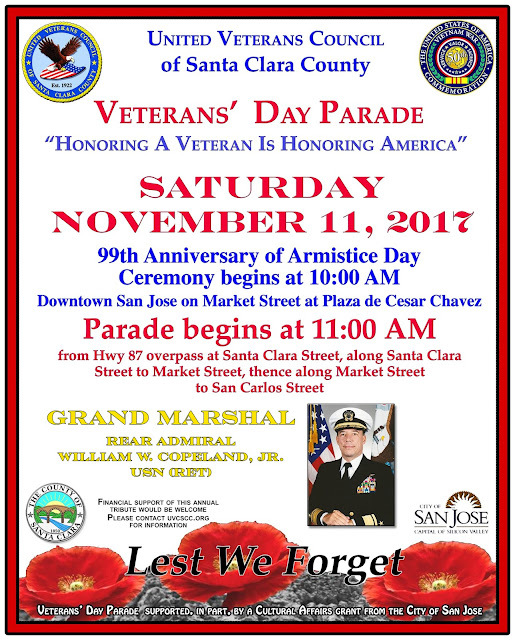 The parade itself starts at 11am near the AC Hotel Downtown and continues down Santa Clara Street followed by Market Street all the way to the festival. That should be "begins at 10am tomorrow"